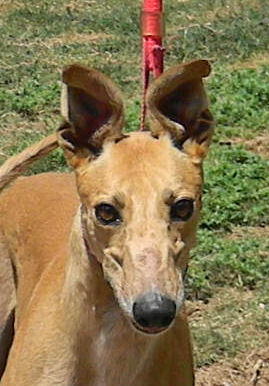 O’Malley is a very friendly good-sized girl (RW 63#) with big ears she holds up a lot. 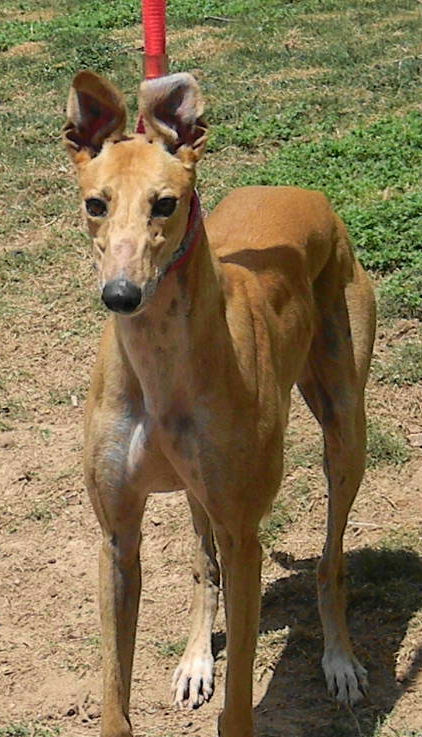 She is outgoing and playful and knows her name. 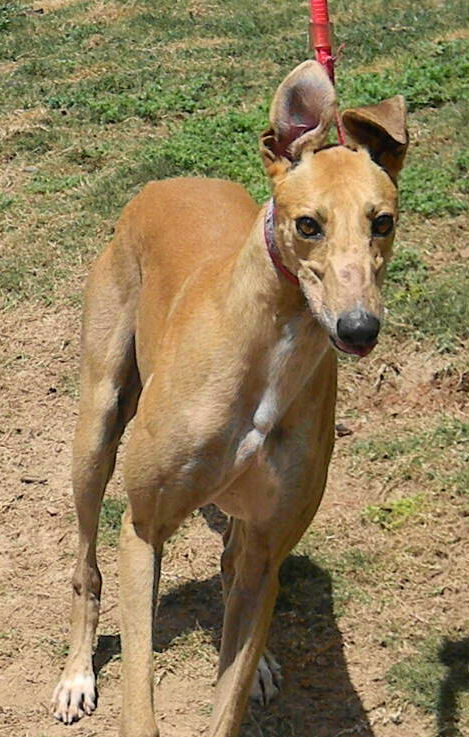 The result of a powerful pedigree, she racked up a 62% “in the money” rate in her 81 races at the Jacksonville and Palm Beach tracks.